EU Tax Law and Policy in the 21st Century provides a thorough description of recent and impending developments in EU direct and indirect tax legislation. Major changes in EU tax law demand an analysis of not just the current state of the field but also forthcoming EU-level policy initiatives and their likely implications for taxpayers, regulators, and national legislatures alike. This book, the first in-depth commentary and analysis of such developments, offers exactly that. Twenty EU tax and policy experts examine the impact of EU Treaty provisions and recent ECJ case law on EU tax law and provide well-informed assessments of current and anticipated EU tax policy initiatives and their potential impacts. the limits of judicial authority in tax policy. This book guides through the maze of many hundreds of cases in EU tax law to find the relevant outcome for concrete tax questions. 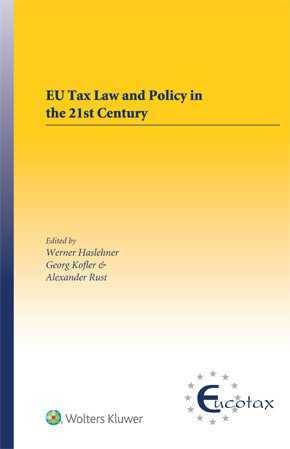 As an authoritative, detailed guide to recent and future developments in EU tax law, with highly informed insights into their practical effect, this book is a welcome addition to the collection available to tax practitioners dealing with European tax matters, as well as to interested policymakers and academics. 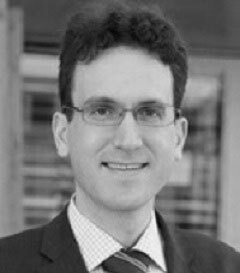 Chapter 6 State-Aid Policy and the Fight Against Harmful Tax Competition in the Internal Market: Tax Policy in Disguise? Chapter 12 Does EU Tax Policy Require a New Treaty? Chapter 14 Corporate Tax Harmonization: C(C)CTB 2.0? By enrolling a product in our Standing Order Program, you will automatically receive new editions of and other updates to the product as they become available on a risk-free, 30 day trial basis. Updates are invoiced at the then-current price, along with applicable sales tax and *shipping & handling charges. You have the right to return any update within 30 days of receipt. If you decide to keep the update after the 30 day review period ends, you are responsible for paying the invoice in full. The frequency of Standing Order shipments vary by title based on regulatory developments and publishing schedule. You are never obligated to purchase a minimum number of updates in order to take advantage of our Standing Order program. If you decide, for any reason, that you are no longer interested in the Standing Order program, or you did not intend to enroll, you may cancel any time by calling Customer Service at 800-234-1660 or emailing [email protected]wolterskluwer.com.